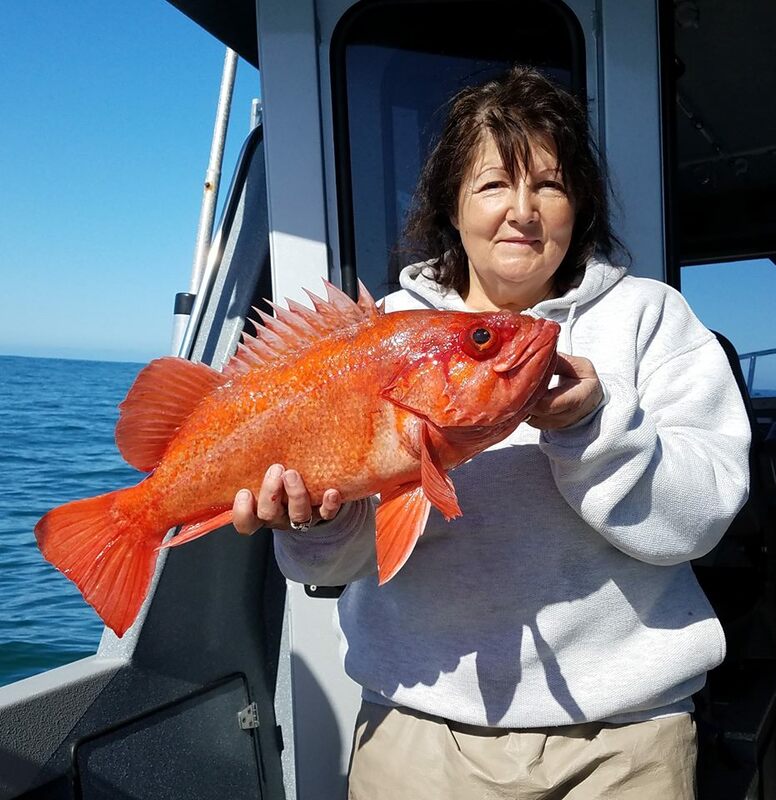 Charter Fishing Coos Bay has been a challenge in April due to Ocean conditions, which have caused us to cancel several trips for safety reasons. The crab hatch has produced a lot of larvae this month which created an opportunity for topwater fishing for Blacks. Even though fishing for Blacks is not our primary focus, it does make for some fun using lite tackle. The lingcod bite has slowed a bit, but we’re still able to produce limits, but need to work harder at times and still a great time catch large lings. We produce the Coos Bay Fish Report April 2018 so people can see the current fishing conditions and catches out of Coos Bay and Charleston. We hope it helps. 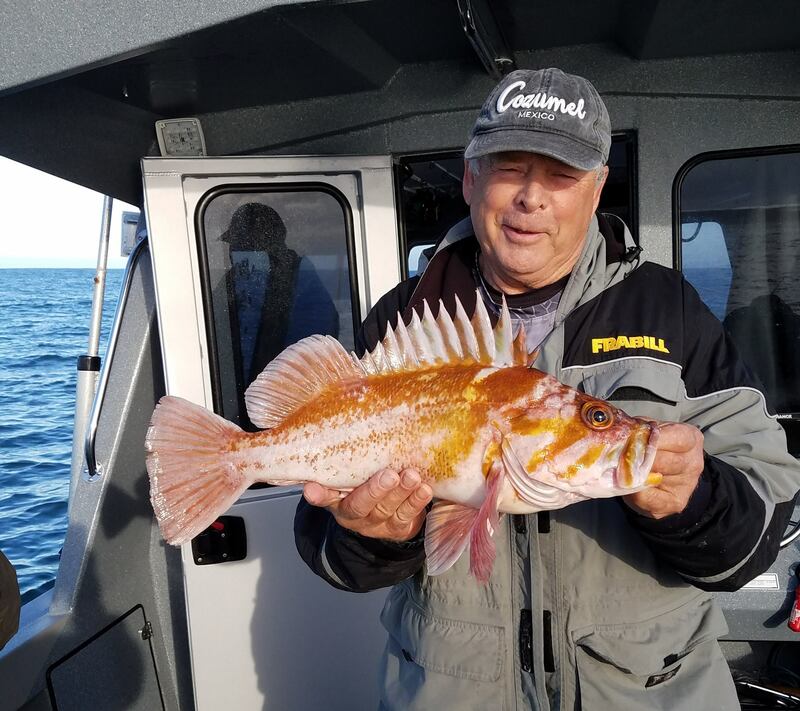 And I suggest you check out our Deep Water Lingcod & Rockfish trip for more details and complete information. 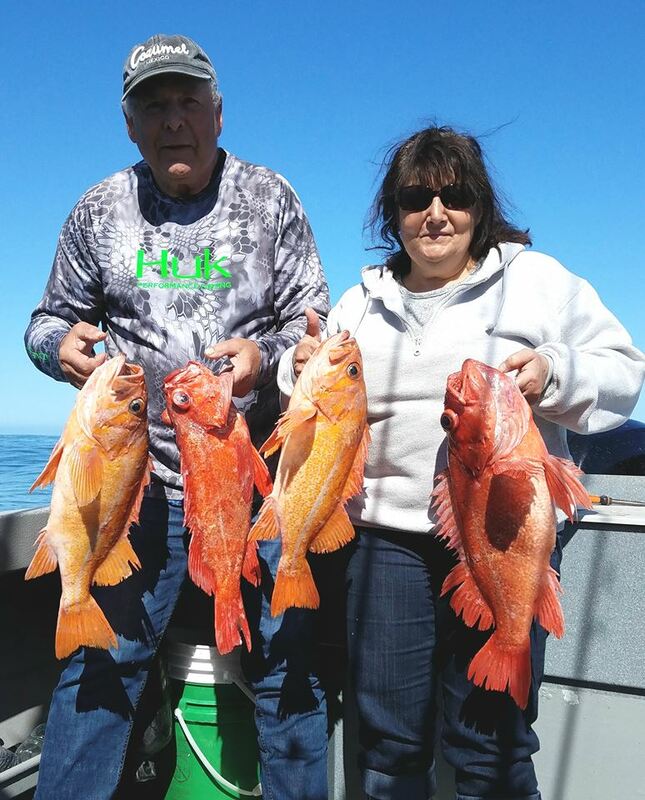 Outstanding fishing with our friends from Montana Lynn and Mary, really nice size on the Canary, Copper and Vermillion rockfish and a boat limit of Lingcod. We also hauled in limits of ocean crab it was a very fun day. We had a very rough and nasty ocean today, but we managed to get out and get our Lingcod and rockfish for our friends. We have gone out with captain Curt on six half-day trips and have limited out every time. The first trip I got a 32 pound Lingcod. Curt is a professional and will put you on the fish every time. He certainly earned Mary and my loyalty. We are already planning our fall vacation with our friend and captain Curt. See you in the fall Curt! 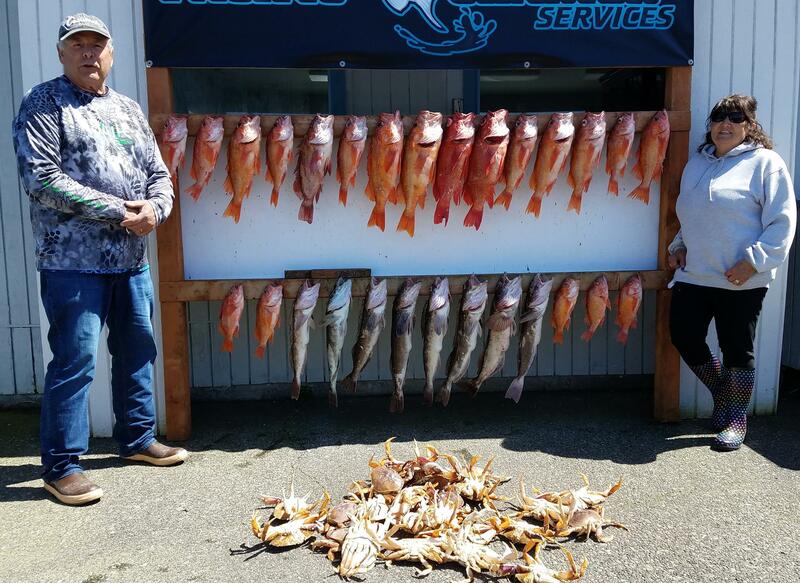 When it comes to deep sea fishing Oregon, I think the Coos Bay fishery is the best place to go. It provides outstanding opportunities for both avid sport fishermen and families to enjoy all types of fishing and clamming activities. This week I parked my RV at the Bastendorff campground for a few days and was able to go out with Captain Curt to do some fun fishing. Sometimes we need to carve out time for the crew to go out and have fun as well, and that is exactly what we did. We caught our limits of fish and crab, then went back to the charter office for a feast. Captain Curt’s wife Annette whipped up some fish and chips from the lingcod and rockfish we caught that day, while Curt cooked up the crab. It was a great meal and a super fun time.